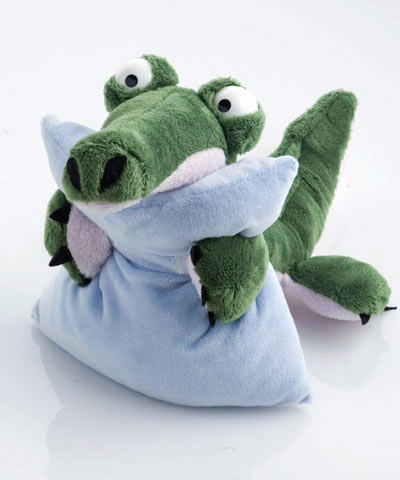 Martin Kittsteiner, a German toymaker, has created a line of stuffed toys that each have their own disease and symptoms, “and comes with a medical history, referral letter and treatment plan.” He hopes the toys will help families with children suffering from mental illnesses. Go to his website to see the others, including a severely depressed turtle. I wish Kittsteiner had a cuddly obsessive-compulsive toy. What do you think it should be? This entry was posted in OCD and tagged mental health, toy, toys by Jackie Lea Sommers. Bookmark the permalink. What an incredibly awesome and creative idea! I bet that is so comforting to kids. Never mind the kids, I want one! ha ha No OCD toy, huh? I’m surprised as I believe it is the fourth most common mental illness diagnosis, and it is not uncommon in children. I think it should be a cat. Cats are definitely what I would call the nervous type. Always jumping at the littlest sound. They can be a little obsessive when it comes to grooming too! Plus, when they are sick, they usually hide their symptoms. I think it’s a self-protection tool. That way other animals won’t notice that they are vulnerable. I’ve been told by a vet that when a cat finally displays symptoms of illness, it is because they are very, very sick. Hmmmm . . . kinda sounds like OCD. Hi Sunny! Love that idea!!! Sunny, that’s what I was thinking–it should be a cat! You’re right about them hiding illnesses. And my cat Sam scratches the side of the litter box continously after a visit, then sometimes scratches the door when she gets out, even though she’ not covering anything. Poor baby. I don’t believe that I will be the same in the afterlife as I am now!